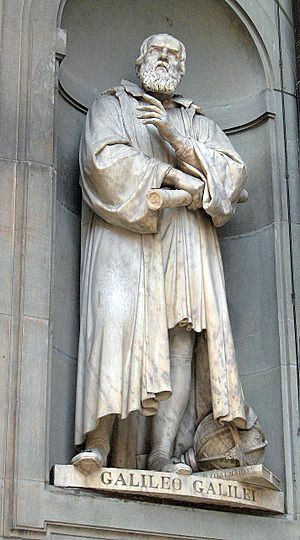 Galileo Galilei (15 February 1564 – 8 January 1642) was an Italian astronomer, and instrument maker. He ran into conflict with the Catholic Church of his day, and was put on trial for heresy by the Inquisition. 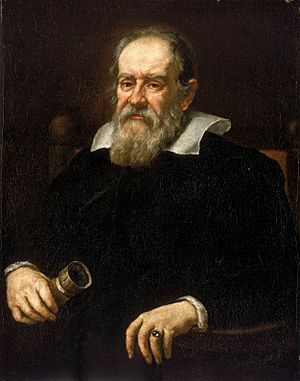 Some people believe that Galileo was the first person to build a telescope. This is not true, but he was the first person to publish his observations of astronomical objects through a telescope. He discovered that the Milky Way is made of many stars. He discovered that the Moon has hills. He found four moons around Jupiter. Those moons are now called the Galilean moons. He discovered sunspots, which are dark areas of the Sun. He saw that the planet Venus has light and dark phases just like the Moon. This helped people to know that the Sun is at the centre of the Solar System, as Nicholas Copernicus had said. Galileo also studied natural forces, and other things that are now called the force and principles of physics. A legend says that he climbed the Leaning Tower of Pisa, and dropped cannonballs of different weights, to see which would strike the ground first. Even though their weights were not the same, they hit the ground at the same time. Galileo found that objects fall to the ground at the same rate, unless things like wind resistance change the rate. This went against the views of Aristotle, an ancient philosopher whose theory was different. 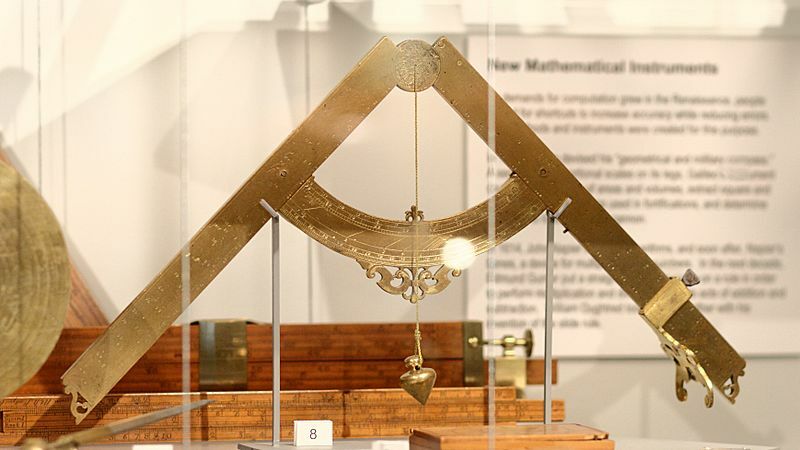 Galileo's findings were ignored by most people, and Aristotle's view was still accepted as correct until Isaac Newton proved Galileo was right. This also led to Newton creating his Law of Gravity. 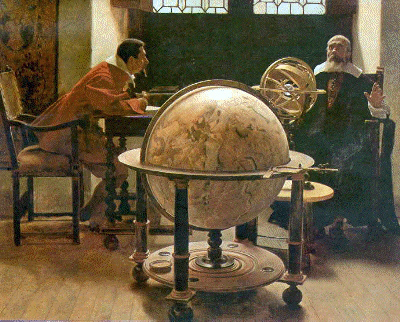 Galileo came to accept the findings of Copernicus, that the Sun was the center of the then-known universe, and not the Earth. Because he promoted this and other ideas, he came to the notice of the Committee of Propaganda, the dreaded Inquisition. The Church taught that the Earth stood still, while everything in the sky moved around it. The Inquisition ruled that other theories could only be discussed as possibilities, not facts. 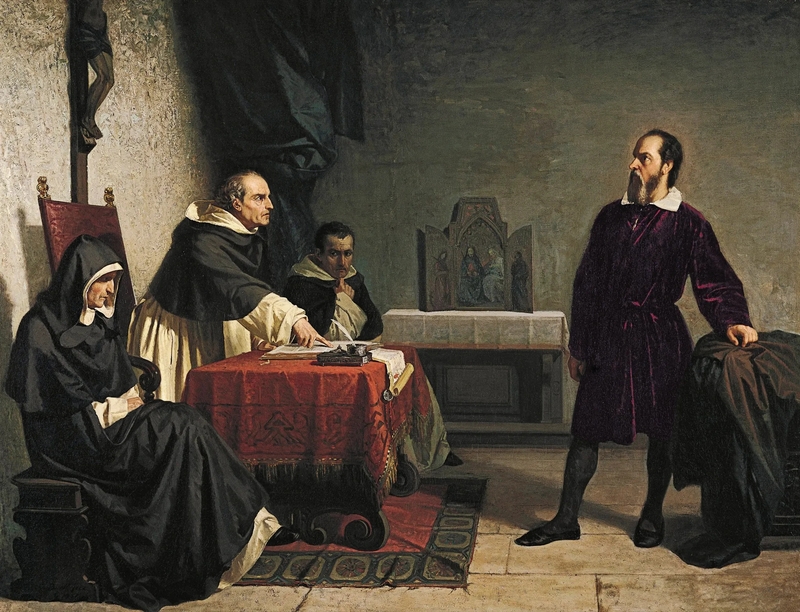 Galileo later defended his views in his most famous work, Dialogue Concerning the Two Chief World Systems, published in 1632 by permission of the Inquisition. The book was in the form of conversations between three men. The man representing the Church's point of view was called 'Simplicio'. At this, the Inquisition took action in 1633. He was arrested and put on trial. They found him "vehemently suspect of heresy". They reminded him of the fate of Giordano Bruno, who had been burnt at the stake for heresy. Bruno believed the Earth went round the Sun, and that there were many other worlds. The Inquisition forced Galileo to recant (say he was wrong) under the threat of execution, and to withdraw his works from publication. Galileo spent the rest of his life under house arrest. Discorsi et demonstrazioni mathematiche, intorno a due nuove scienze. (discourses and mathematical demonstrations relating to two new sciences) Leiden 1638. This, on the mathematics of motion, was not such a controversial subject, and was published in Holland, out of the Inquisition's territory. 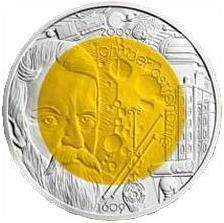 Galileo Galilei Facts for Kids. Kiddle Encyclopedia.